There is no love lost between the city of Paris and romancing couples these days. Last Wednesday, those who run Paris vowed to clamp down on these couples' practice of declaring their ardour to each other - by attaching padlocks with their names on it to fabled bridges there, and then throwing the keys into the city's artery, the River Seine. There has been such a proliferation of padlocks that in June last year, a wire-meshed section of Paris' 32-year-old Pont des Arts bridge collapsed under the weight of hundreds of thousands of such "love locks". In her new book, The Cunning Of Uncertainty, Helga Nowotny notes that these locks are a form of promises, a way of "bringing the future into the present". The rub is, she says, "promises are a risk-free mortgage on the future. They are a bet on it, premised on the belief that the uncertainty about their delivery will be overcome". In that way, promises help those who hold it cope with the uncertainties of the present by "disposing" of the future, if only for a while. Nowotny is not unromantic. She is just keen to convince everyone that this way of dealing with fear and anxiety will not make one resilient. As she notes of Future Shock, the best-selling book by the late influential American futurist Alvin Toffler: "In the tradition of US technological optimism, it provided sophisticated guidance for self-help by preparing the reader for the post- industrial society. The rhetoric of all change speeding up merely confirmed that the future could be managed if the advice that the book offered was heeded." That is the date of the next Big Read Meet with senior writer Cheong Suk-Wai. 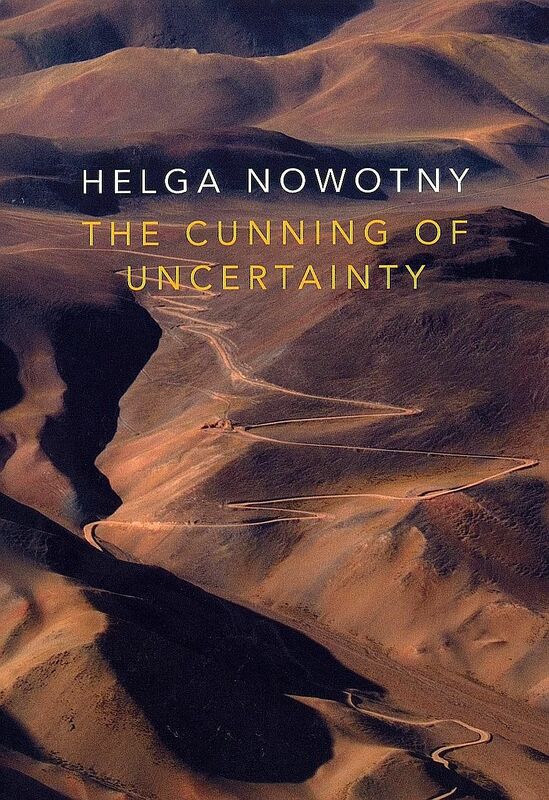 Join her to discuss The Cunning Of Uncertainty by Helga Nowotny on Aug 31 from 6.30pm in the Central Public Library at Basement 1, National Library Board (NLB) headquarters at 100 Victoria Street. Sign up for it at any NLB e-Kiosk or go to www.nlb.gov.sg/golibrary and look for "The Big Read Meet". If you cannot make it, but have a view on Nowotny's book, e-mail your thoughts in no more than 100 words to suk@sph. com.sg. The best contributions in The Big Read will be published. Thus did Toffler and his ilk spawn a "future-making" industry. Nowotny's quarrel with that is that the only thing certain about living is death, so how can the shape and nature of the future be predicted, let alone planned for, with any certainty? Her aim in the book, then, is to show why and how everyone can best prepare himself for times when life turns unpredictable. The first to-do on the list? Stop seeking predictions, forecasts and the like. Those in the business of prediction and forecasting, she notes, base their projections on how a set of circumstances played out in the past. But real life, just like United States presidential candidate Donald Trump's mood, can turn on a coin toss - witness how he flip-flopped on a bawling baby during his speech. "Probabilities," she notes, "are a forceful reminder that reliance on past extrapolations has limited value because things can be otherwise." Nowotny is an Austrian sociologist who helped set up the European Research Council in 2007. The well-endowed council is made up of independent-minded scientists who assess and award research grants to fellow scientists for them to pursue exciting ideas with no guaranteed outcomes, compared with the usual R&D projects where many governments insist their brainiacs deliver results in a short time. She was the council's president from 2010 to 2013, and is now Professor Emerita at the Swiss technological university ETH in Zurich, as well as a visiting fellow at Singapore's Nanyang Technological University. She studies how society interacts with, and informs, the development of science and technology. She is particularly interested in how rapidly technology is changing the way humans behave. The thrust of her argument, then, is that you should always be mindful of the context - the time, place and milieu - in which a claim, an assertion, a promise or a projection is made. Doing so will help you choose how to respond well to change. For example, she notes, in 2013, search engine giant Google used its snazzy IT tools to chart global influenza trends. The snag was that it relied on algorithms alone, not real interviews with doctors or on- the-ground surveys of flu patients. Google wound up, among other things, erroneously reporting double the amount of flu-stricken folk who actually visited a doctor. It was, says Nowotny, "data hubris, the assumption that big data is a substitute for, rather than a supplement to, traditional data collection and analysis". Context matters, and matters more than ever before. As another example of the perils of ignoring context, she refers to the painful process that infertile spouses have to go through to have babies. While in-vitro fertilisation (IVF) has improved by leaps and bounds, society is still playing catch-up with science on the question of how ethical such science is. IVF, she points out, "raises further questions about the future of kinship and parenthood". This would prove problematic for communities who are not like the Baruya of Papua New Guinea, who consider all your father's brothers as your father too, and all your mother's sisters as your mothers. A third example is key performance indicators, which she says "induce compliance and implicit consensus with what is set out to be achieved". But, she points out, because an employee's past performance goes on record and this record sticks to him well into the future, it may produce "perverse effects". "Typically," Nowotny notes, "they start gaming against the system. They may discover alternate, less demanding and less costly ways of performing." And unless the employee's workplace has a robust feedback loop to curb such gaming, the workplace will suffer in the end. The "cunning" in her book's title refers to how uncertainty is like a perpetually prevaricating person, one who can never make up his mind. Harness that prevarication, then, to your advantage, she says, by first accepting the fact that anything can happen any time. Then learn the many ways in which you should respond to different worst-case scenarios, while being open to new solutions. That, she stresses, is how scientists should approach their research - and how one should live life. She says that cunning is akin to elpis, the tiny creature left in Pandora's box, which the mythological character shut almost too late after releasing myriad evils from it. Elpis, says Nowotny, is not hope, but something "capable of absorbing what we anticipate and to metamorphose into what we wish it to be". Being resilient, she shows in ancient and recent examples from science and literature, is not about being able to roll with any punch thrown at you, but doing a bit of lateral thinking to avoid the punch in the first place. For example, she cites Italian journalist Tiziano Terzani. In 1976, Terzani was in Hong Kong. He had his fortune read there and was told that he would very likely die in an air crash in 1993. So, in 1993, he travelled all over Asia, but only by land and sea. He recalled that experience in his best-selling 2002 book A Fortune- Teller Told Me, which, incidentally, is one of the best travelogues of the 20th century. Terzani died of stomach cancer in 2004. Nowotny's slim book is a big well of wisdom. You may find your sense of wonder refreshed if you locked in some time to drink deep from it. 1 Why do people want to be certain about anything? 2 Why does certainty not bring security? 3 Why is Big Data more problematic than promising? 4 How should you best respond to disruptive competitors? 5 What sort of outlook should you have to flow with change? 1. In a spare, flowing narrative as clear as spring water, Austrian sociologist Helga Nowotny gives you a 360-degree look at uncertainty, in all its fearful and hopeful guises. It is one of the most detailed analyses of human resilience, the promise and perils of Big Data and the uselessness of forecasting. And Nowotny has done all this in precise prose. That is quite a feat. 2. This renaissance woman's intelligence brims on every page, but is rarely forbidding. That is because she relates the difficult ideas she discusses to everyday happenings and literary culture. For example, she prefaces breakthroughs in stem cell research with the 2005 scandal of South Korean scientist Hwang Woo Suk, who claimed to have cloned human embryos. She also takes readers through the angst of a World Cup "sudden death" football shoot-out. 3. She has been careful to draw ideas from all over the world. This makes her perspective more rounded than most Western thinkers. Among other wonders, she tells you about the oracle bones of China, the "Big Man" culture of Papua New Guinea and how scientists discovered the Ebola virus. Her book is a magical, mystical armchair tour for eggheads, told in a voice alive with curiosity and compassion. Her book is, in a way, a fitting successor to Jacob Bronowski's The Ascent Of Man. 4. As one of the prominent leaders in Europe's scientific community, Nowotny has made the most of her extensive network of thinkers. She has harvested up-to-date studies from them and interpreted their findings well for the layman. In an example that Singapore corporations stuck on disruptive innovation will find relevant, Nowotny agrees with American historian Jill Lepore's critique of Harvard don Clayton Christensen, who came up with the idea of disruption and excoriates Christensen for an "atavistic" concept which preys on people's fears about financial collapses. 1. The book's first chapter is its worst advertisement. It is jam-packed with good ideas, which makes it indigestible to all but the most persistent readers. Read the preface, Chapter 3 and the epilogue, then try Chapter 1 again. 1. She is not above rapping American scientists and those who fund them for what she perceives as lassitude towards ethics and intellectual rigour. I am not certain that bias will win her too many fans. One evening in October 2001, Helga Nowotny braced herself for the long flight from Atlanta in the United States to her home in Zurich, Switzerland. Arriving at the airport, she was stumped to learn that Swissair, the airline she was booked on, had grounded all flights because its parent company had gone bankrupt. She recalled: "The Swissair staff did not know how to cope with it. They were hiding. They put up a sign at the check-in desk because they were so overwhelmed, no one was there. The sign had a number on it, but it was useless to call that number because everyone was calling it." She then muses: "If you are trained only to follow a script, you will do very badly when unpredictable things happen." Nowotny, an Austrian sociologist who is now 78, told me this in an interview in early February, while she was here as a visiting fellow of the Nanyang Technological University. She was a founding member of the European Research Council in 2007. The council comprises independent scientists who assess and give money to research projects that have no conceivable short-term outcomes, but might lead to stunning breakthroughs. She became its president in 2010, stepping down in 2013. In person, the divorcee, who has two grandchildren from a TV presenter daughter, is vivacious and precise, her eyes twinkling with wonder and with a ready smile for everyone. She told the Engineering and Technology (E&T) magazine in June 2011, her calling came out of the desperate aftermath of World War II. There was very little food for everyone in Austrian cities then and so she, at age eight, was among the children there who were sent to the countryside to live. The place in which she was resettled, Vorarlberg, was on the Austria-Swiss border, and having to adapt to an alien tongue in the bucolic idyll fuelled her fascination with everything and everyone around her. She did not, however, jump headlong into the social sciences. Her first degree was in jurisprudence from the University of Vienna. But when she applied to teach criminology at her alma mater, the head of that department turned her down initially simply because she was a woman. When she told him, surprisingly, that she agreed with him, he hired her. She went on to get a PhD in sociology at the University of Columbia. At present, she is Professor Emerita of Social Studies of Sciences at Swiss x ETH in Zurich. ETH also has an office at University Town here.